Photographing the people, attractions and events of the Titusville, Florida area. 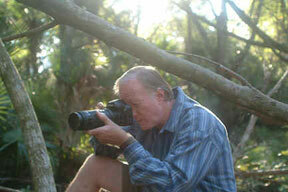 I, Walter Kiely have been a photographer for over 25 years in New York and now in Florida. I have studied under four master photographers. I look forward to helping you have the best possible photos of any event you have. My clients tell me that I really make them feel good and that they really appreciate all the time I spend trying to get just the right photo. They are always amazed at how conservative my prices are. I shoot strictly digital and the images you get are on a CD. You can then take your CD anywhere and get just the right size and amount you want made for a fraction of the cost of traditional photos and a lot more photos also. My media work is used in several different newspapers and magazines. Call me and we can discuss your photo needs: 321-749-6065. I am the official Titusville Chamber of Commerce photographer so I can provide you with plenty of references. We won the Titusville Area Chamber of Commerce "Home Based Business of the Year" Award at the 2006 Academy Awards Celebration. Digital DVDs with photos that have special effects and music. I shoot weddings, anniversaries, birthdays, even funerals, church events, family reunions, any special occasion, media events, pets, boudoir shoots available, baby showers, no job too big or too small. Renee and I are official photographers for the Florida Fallen Heroes Quilt Project. We are making prints of the quilts and the individual squares available. There is no charge for digital images (jpeg) of the prints, if you want a photo hard copy then we charge our normal fee but encourage everyone to get the jpeg and it will NOT have our copyright on it. Just our way of honoring those who have sacrificed so much, the fallen and their families. Click here to go to our Fallen Heroes photos web site. For some of our galleries, you will need: Photodex Presenter plug-in. It is a free add-on for your web browser which allows you to view ProShow slide shows over the web.